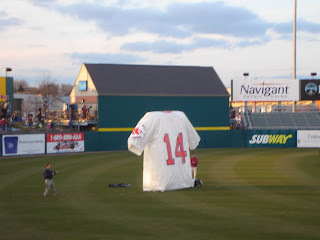 PawSox Heavy: Jim Rice will encourage you to cheat, sometimes. Congratulations to Jim Rice. I'm so glad I got to see him at the banquet a couple of years ago. I'm also glad I was there to witness his controversial comments! The Pawtucket Red Sox are the only IL team that measures attendance by actual bums on seats, not by ticket sales. Class establishment, just like Glenn Hoffman said.